Accidental death and dismemberment insurance, also known as AD&D, is one of the lesser-known and understood insurance coverage types available with travel medical insurance. AD&D insurance pays you or your assigned beneficiaries an amount of money if you die or suffer the loss of any limb as the result of an accident while the coverage is in effect. Essentially, it provides a benefit in the case of accidental death or dismemberment. If you need more information on AD&D read on What is AD&D Coverage? According to insurance experts, the majority of AD&D claims are for accidental death. The even that causes the claim must be solely the result of an accident, and not contributed to by an illness or disease. The accident must occur while the insurance coverage is in effect. Proof of the accident will be required with the claim. A bus crash results in the permanent loss of your eyesight. An errant driver smashes into you and you lose a leg in the accident. A plane crash results in your death. The dismemberment portion of an AD&D benefit works on a ‘per-member’ benefit, which means you will receive a portion of the total benefits based on your loss. A ‘member’ refers to a body part. Your eyes are a member, as are your legs, arms, feet, hands, etc. If you lose a foot in a car accident, for example, you will receive the benefit for the loss of a single foot. If you lose both legs, i.e., two members, then you would be entitled to receive the entire benefit from your insurance provider. Maximum benefits paid to any one family. Exclusions include accidents due to hazardous sports, riding off-road vehicles, playing collegiate and professional sports, racing, and more. Accidents that result from intoxication or the use of illegal drugs. The specifics of what is excluded in any particular visitor’s insurance plan can be found in the exclusions section - and it’s important that you read your insurance policy carefully to understand the particulars of what is excluded if you want to avoid the pain and frustration of denied claims. 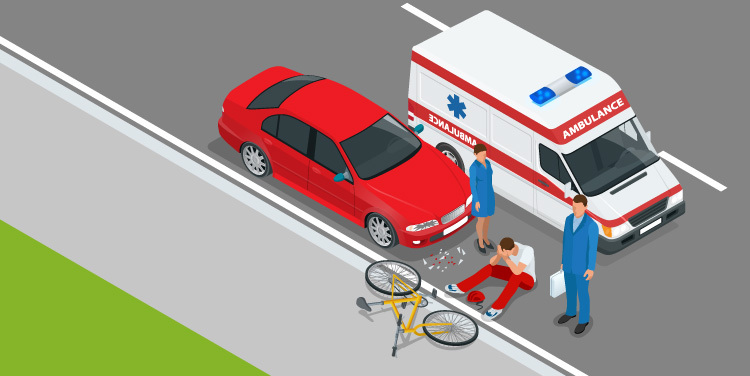 Serious injury or death is the last thing we want to think about on vacation but even though it may be a very low possibility, it can still happen. Common questions about AD&D and Visitors Insurance also include what happens if a loved one is seriously injured or involved in a natural disaster and needs to be evacuated? We cover this in medical evacuation in case of emergency. Many visitor insurance plans include at least some AD&D as part of the bundled coverage, so you may have a little coverage even if you don’t specifically want it. Don’t worry - it’s not an expensive part of your insurance premium. If you have adequate life insurance to protect your family in case of your death, then spending more to have the additional AD&D benefits is probably unnecessary. While it’s highly unlikely that you will lose an arm or leg, or your sight, it also depends on the activities you engage in when you’re traveling. In the case of a freak accident - one that no one could have ever predicted - the coverage could prove beneficial and help you defray the costs associated with losing part of your body. When you are traveling some distance from home and you have purchased visitor’s insurance, be sure to leave behind a copy of your policy with a trusted family member or friend. If something happens to you while you are traveling, someone will be able to contact the insurance company and get help regarding the next steps. If in the unfortunate case that you or a loved one dies abroad, your policy may not offer coverage for funeral and burial costs. You should be prepared both financially and emotionally to handle this situation if your visitors insurance does not cover burial expenses.